In recent news, Australia has been in the international spotlight after a controversial statement made by its prime minister Scott Morrison. 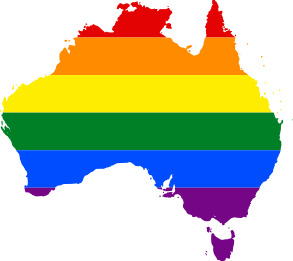 In the month of October, a report leaked during which Morrison mentioned that the “existing law” in Australia allows religious and private schools to expel students on behalf of their sexual orientation to preserve religious integrity. The report itself proposed that allowing these institutions to discriminate in such a way should be made into a federal law. Since Scott Morrison himself is a Catholic who opposes gay marriage, this sparked a lot of fury from the public, including individuals from both LGBTQ and Christian communities. However, it also led to a surprising result. In an ironic twist, after this statement was leaked, a wave of students came out publicly as LGBTQ, in the hopes, no doubt, to be expelled. The prime minister, a few days later, said that the statement had been misreported, and was in fact a plan to protect children from discrimination. Morrison then claimed that he is working on a plan to implement a law that would prevent schools from discriminating students and staff based on their sexual orientation. His exact words were: “I will be taking action to ensure amendments are introduced as soon as practicable to make it clear that no student of a non-state school should be expelled on the basis of their sexuality”.